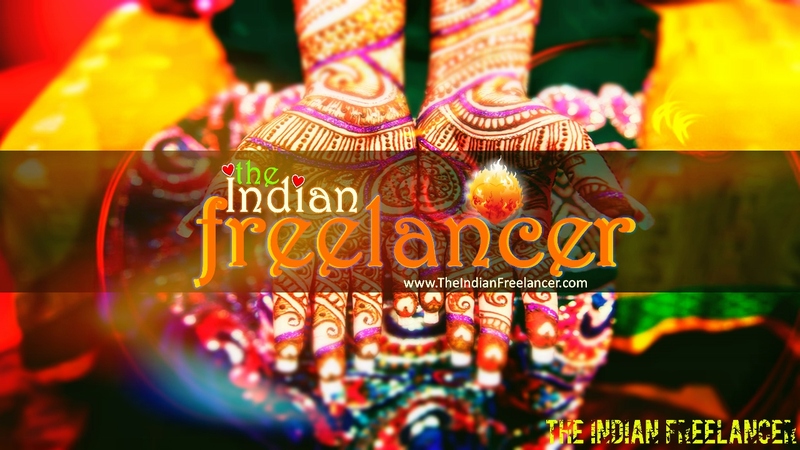 The Indian Freelancer: How to start learning online in 2019? How to start learning online in 2019? Namaste friends. Recently, I got a question on Quora which asked: "What are the things I need to know before I start learning through online courses?" In this article, I will try to answer this question and help as much as I can. I am sure this will help someone who is looking to learn about online courses and how to start learning online. Let's begin. 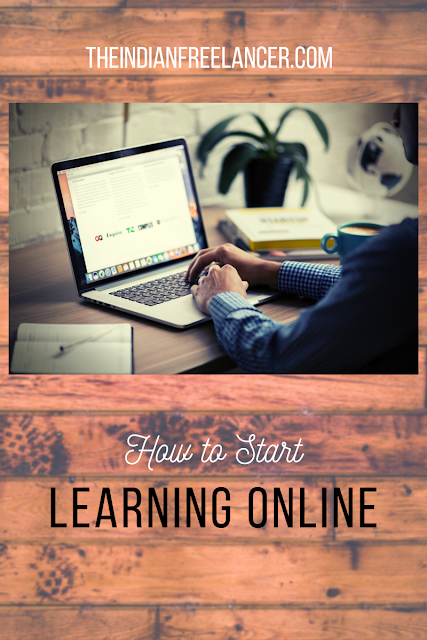 Before starting learning online, you must first decide what you want to learn. Is it something that will need you to have practical lessons or activities? Like cooking, painting, singing, playing musical instruments need you to perform the activities or implement your learning in a physical environment. For such lessons, you must be prepared with your own instruments and arrangement at home or office, wherever you are taking the lessons. If you want to learn to programme or to design or anything digital, then you need to do the practice on the computer itself which you can do as you learn. You do not need any special arrangement, other than probably having the software needed, installed on your computer. TheIndianFreelancer.com : How to Start Learning Online? What kind of online courses do you need? This is the next question and a very important one. There are a few types of online teaching methods and most common modes are live teaching and self-paced video lessons. In Live teaching classes, the teacher will open a virtual classroom when you alone or a group of students will be joining, based on the system. The teacher will teach the subject or the skill to the group as if you are all in a classroom. Such sessions happen at a predetermined time which is fixed based on everyone’s availability. You can also have live Questions and Answers. In self-paced video classes, you will register to the previously created video lessons and go through each lecture one by one and learn whenever you find a suitable time. You can ask questions and the teacher will answer them at a later stage. Self Paced classes are great for busy students who cannot sit for long hours for live classes or have a timezone mismatch problem. How to choose the right platform for online courses? Now, the next thing is to choose the right platform. This largely depends on the kind of online courses that you want as different platforms offer different modes of teaching. Live classes are held by teachers on Google Hangout, Facebook Group Chat, Skype, Zoom, and other similar apps. These can be held on mobile devices or your computer as well. There are a lot of platforms offering live classes on various subjects and courses, like WizIQ, Edureka, Preply, Coursera, etc. There are a lot more too and few of these platforms have both live classes and self-paced video lessons. The two top self-paced lessons platforms are SkillShare and Udemy. There are a few more, like Lynda.com, Packt, Thinkific, Teachable, etc., but these two are by far the top two platforms. On Udemy, you can buy each course (some are free) and have lifelong access to those courses that you have enrolled to. You need to purchase each course which can range from $20 to $200. But do not worry, most of the times courses on Udemy are available for $9.99 as they keep running discount programs on their website all the time. On SkillShare, you can buy their membership on a monthly or yearly basis and can browse through all their 27000+ courses during that subscription period. Subscription is costly (~$15 per month) unless you get an invite to join SkillShare which will give you 2 months of FREE PREMIUM Access. You need to join with your credit card for FREE and can continue after 2 months, and only then the card will be charged. How to decide which Course is best for you? Always try to enroll in a course which is specific to your requirements. You can also join a broad 30+ hours long course if you want to have all the in-depth knowledge about a broad subject, but I think specific courses will help you in understanding the concepts faster and not waste a lot of time in reinventing the wheel, which happens with longer courses most of the time. This is one reason that I like SkillShare more than Udemy. I wrote this answer on Quora and you can find it here.